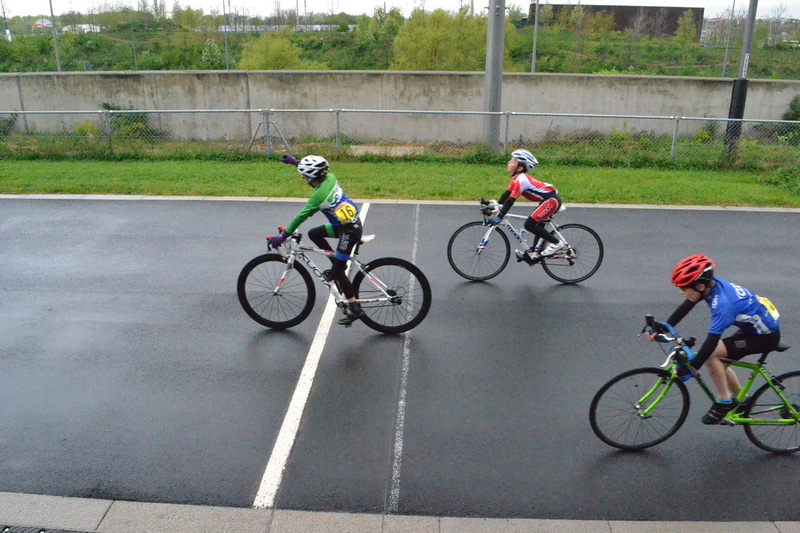 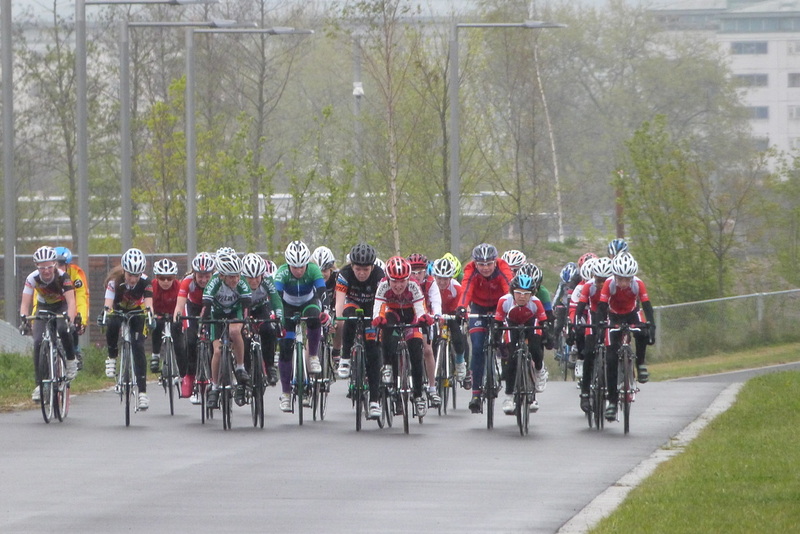 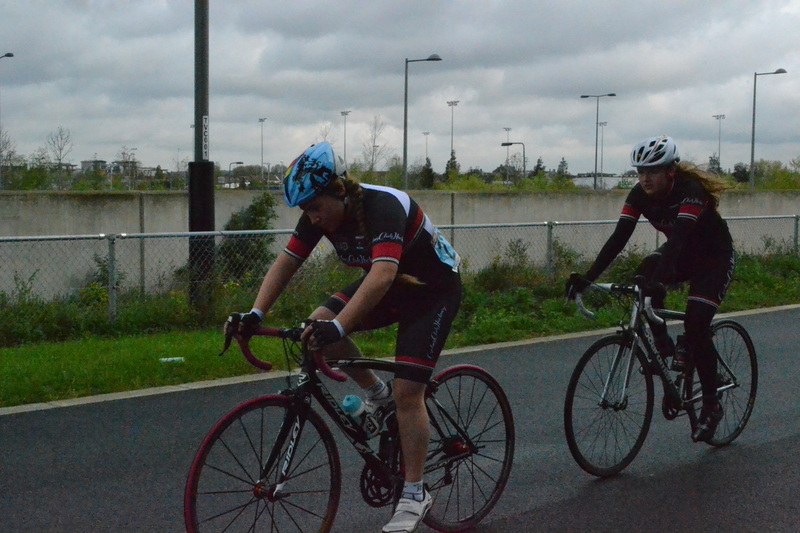 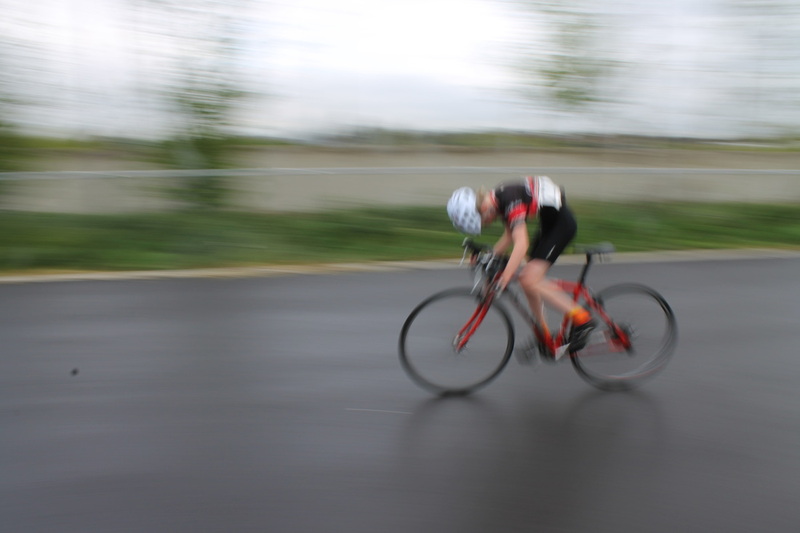 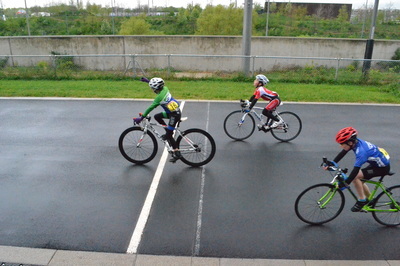 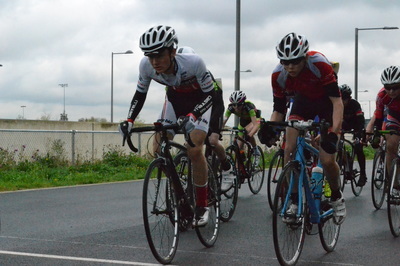 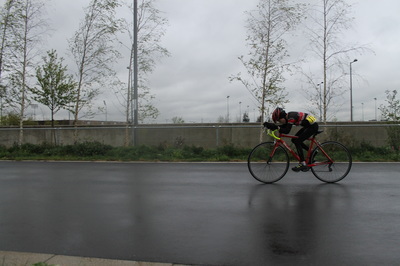 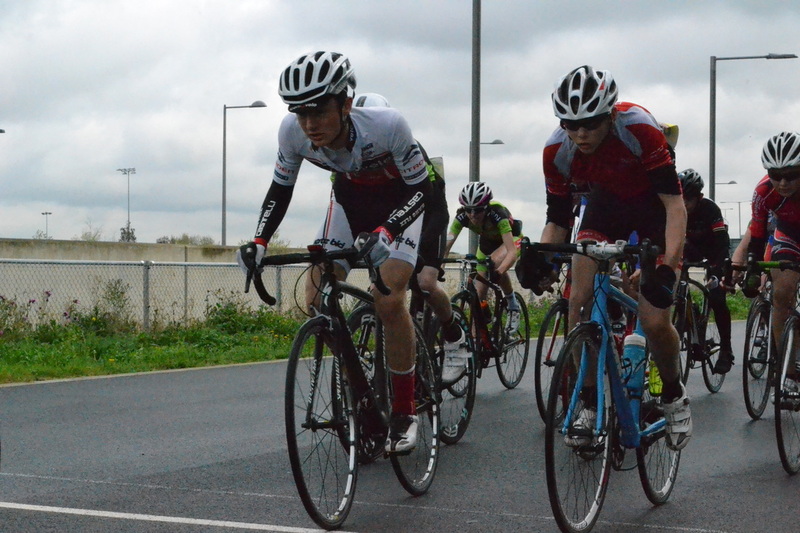 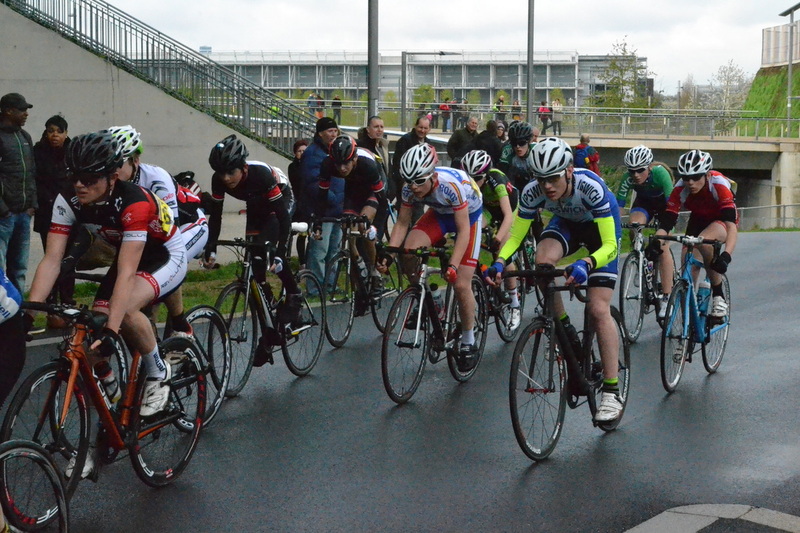 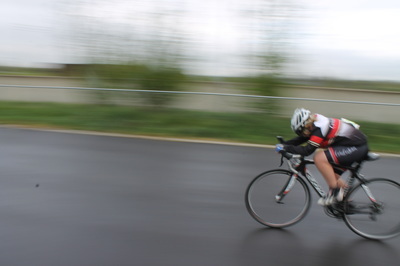 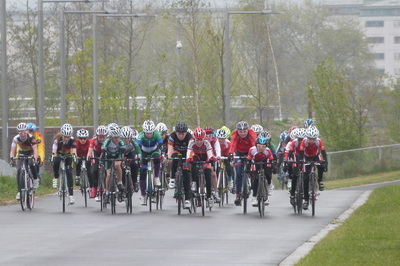 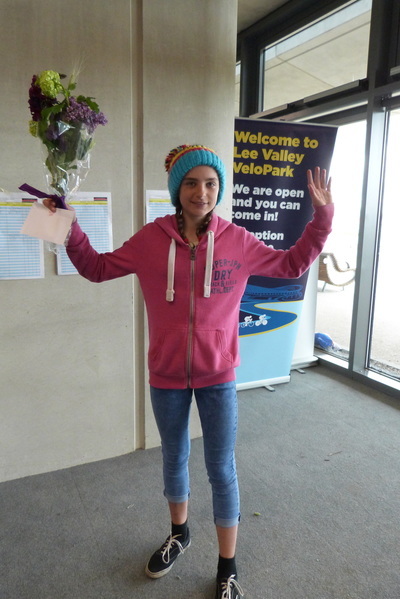 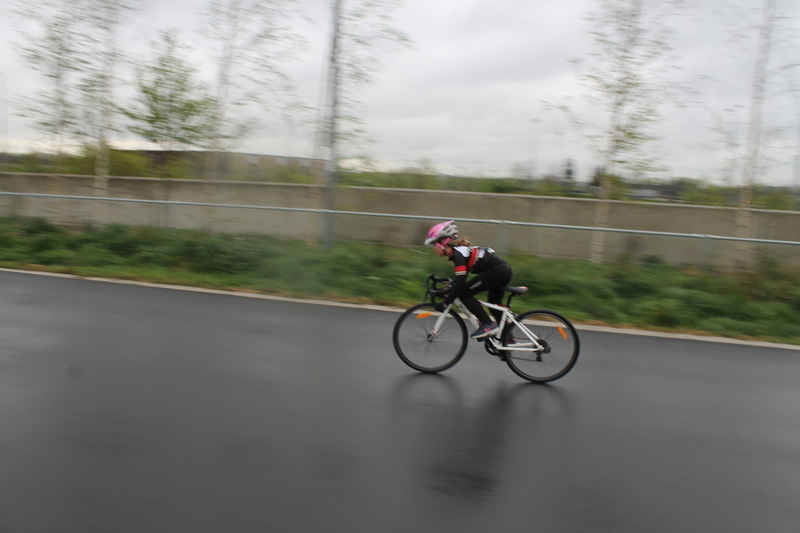 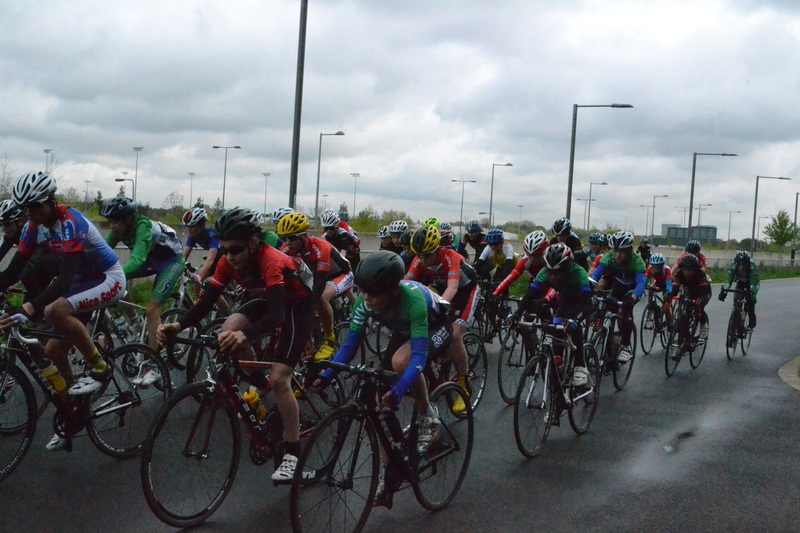 CCHackney Primavera Circuit Race 2 - 25th April 2015 - Report results and photo gallery. 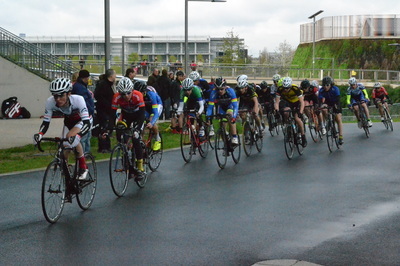 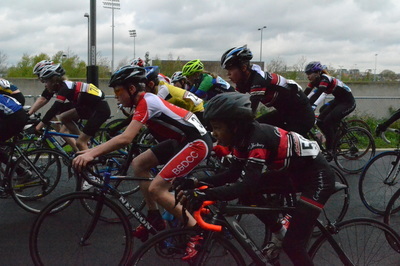 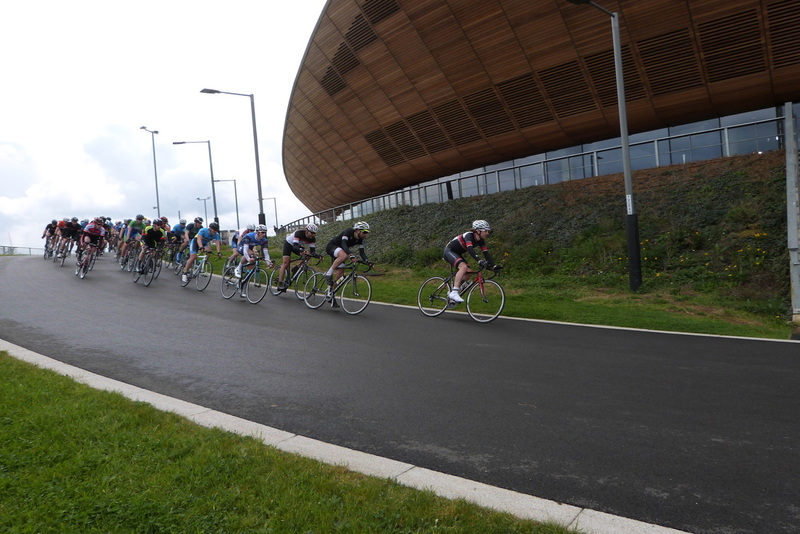 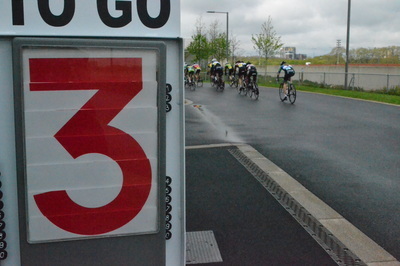 The second of our spring crits once again attracted many riders to Lea Valley Velopark - unfortunately a serious crash resulted in the abandonment of the Senior's Cat 3 4 race and the presence of ambulances on the circuit led to the cancellation of the E 1 2 and women's races. The incident was a shame as the race was well under way in its 15th lap and attacks were coming off the front of the large peleton of 90 plus riders. The weather was wet but by the senior races it was drying out a bit so maybe a combination of nervousness and eagerness led to the incidents. As the crash happened at the west end of the circuit this meant the race couldn't continue as there is only one entry onto the circuit - which is at the opposite end meaning that whilst emergency vehicles are on the circuit racing couldn't continue even on a shortened course. 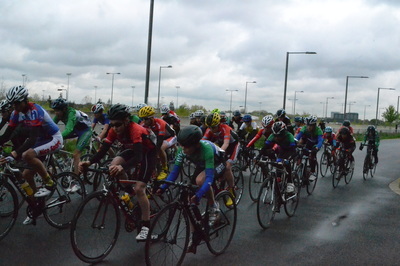 We all hope that the injured riders have a speedy recovery. 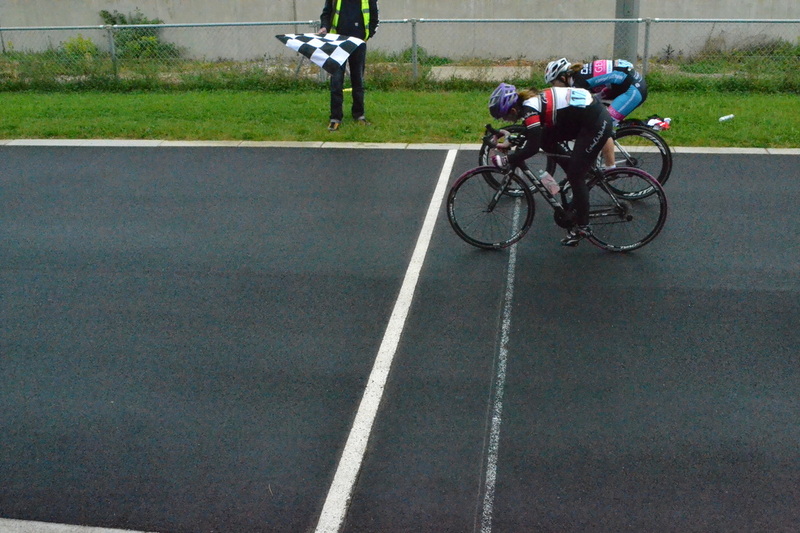 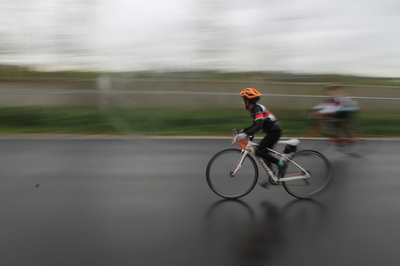 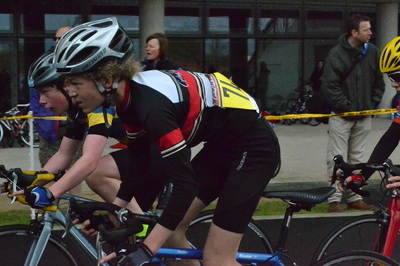 In contrast the Youth races passed off mainly without mishaps despite them having the worst of the weather. 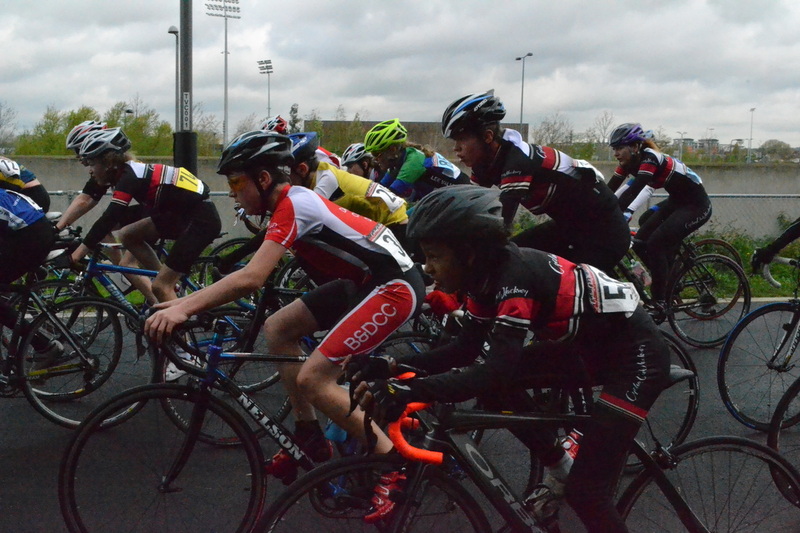 These races were part of the Eastern Region Youth Circuit Series so there was a large turn out for all the categories with riders looking to move up the tables. 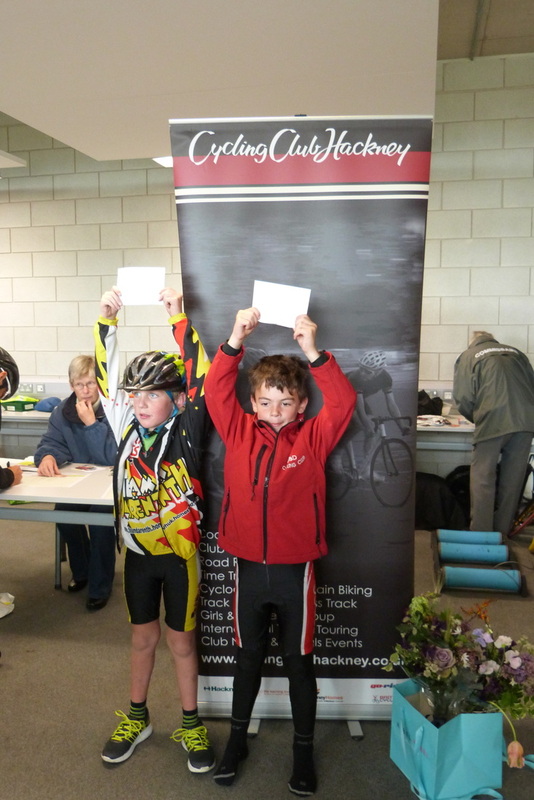 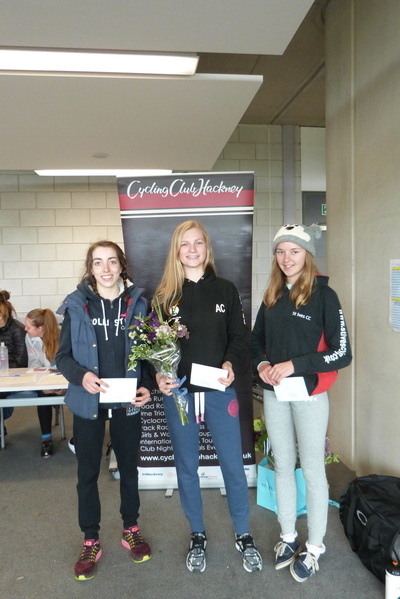 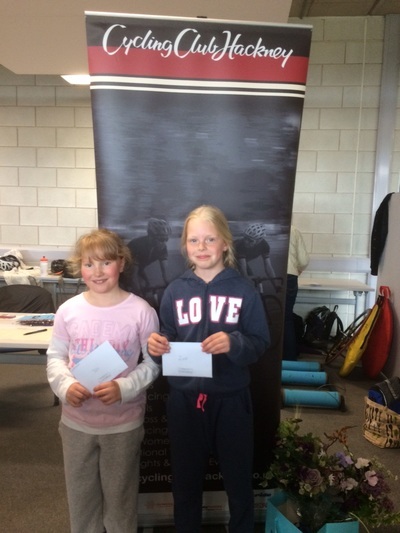 The D and E races were keenly contested with LVYCC riders Owen Prenelle and Carys Lloyd coming out on top in the D races and Henry Hobbs from Barking & Dagenham and Tysli Bakrania from Team Darenth winning the E races. 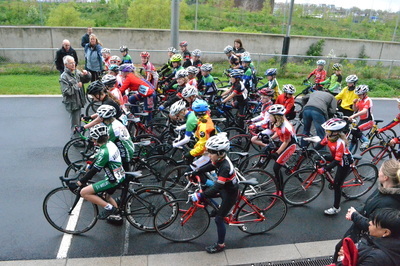 Nearly 40 started the Under 12s Cat C race and their riding was impressive in alarge field for that age group. 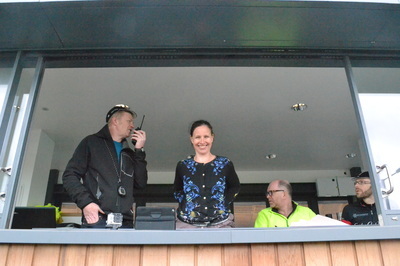 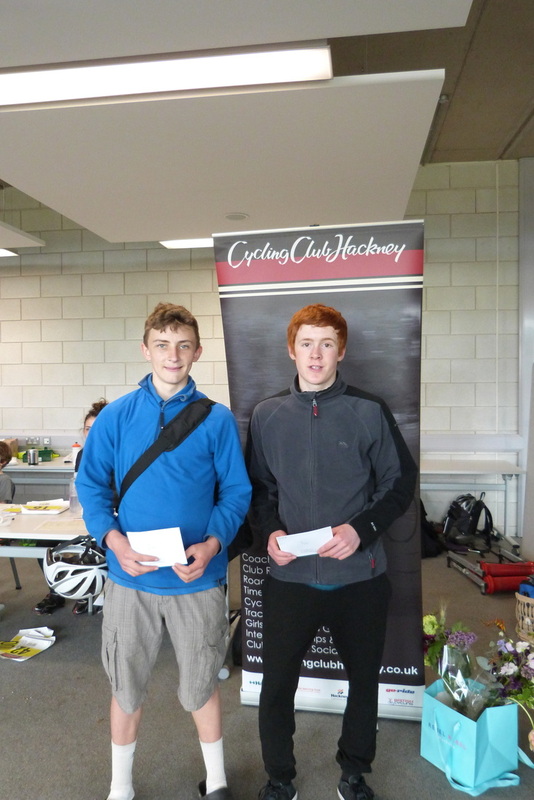 Alex Dale - LVYCC and Rose Dias took the honours. 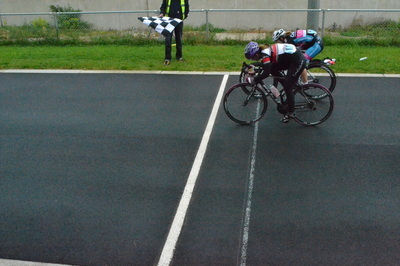 The A and B races followed with the plan being that the B race would finish 3 laps ahead of the As. 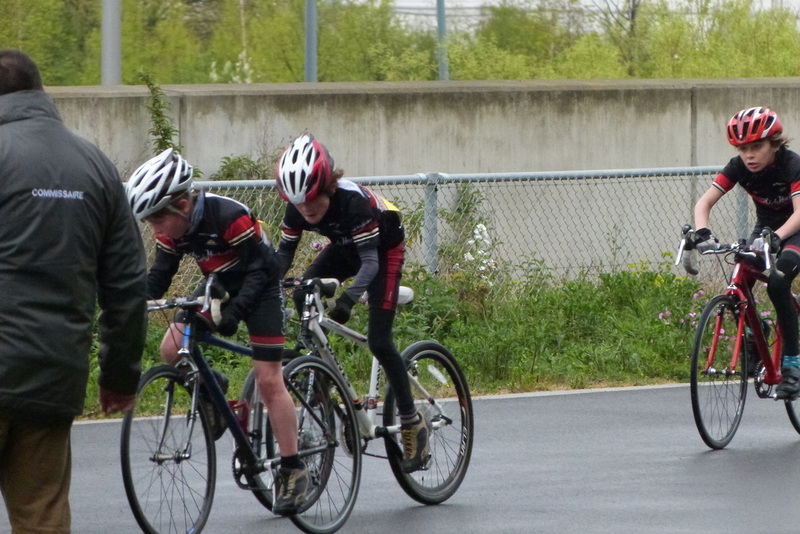 it looked like they would stay apart only for the two bunches to come together just as the B race had 2 laps to go. 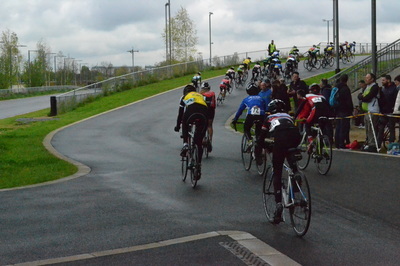 This resulted in some riders riding with the wrong bunch and the first B rider across the line getting relegated. 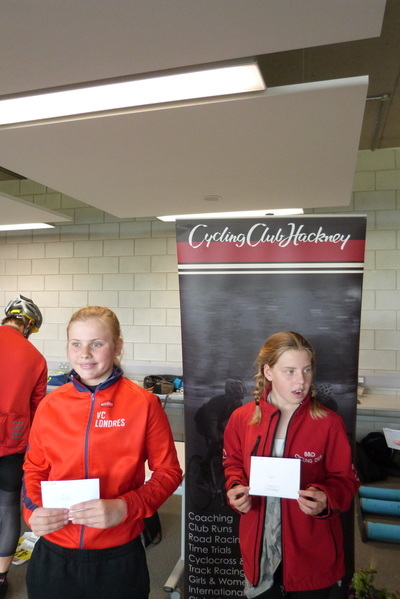 We'll address this at the next race by making the A and B one race and the points going to the top three riders in each category. So if a B rider is strong enough to stay with the A group then they can. 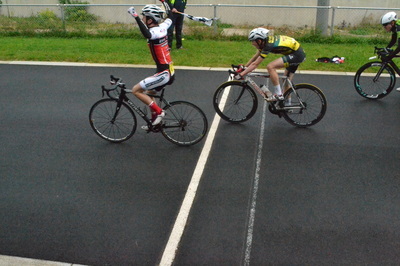 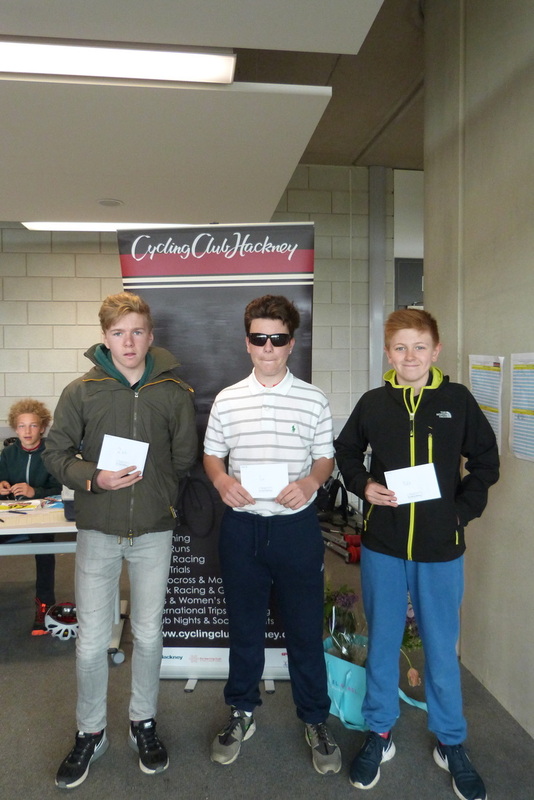 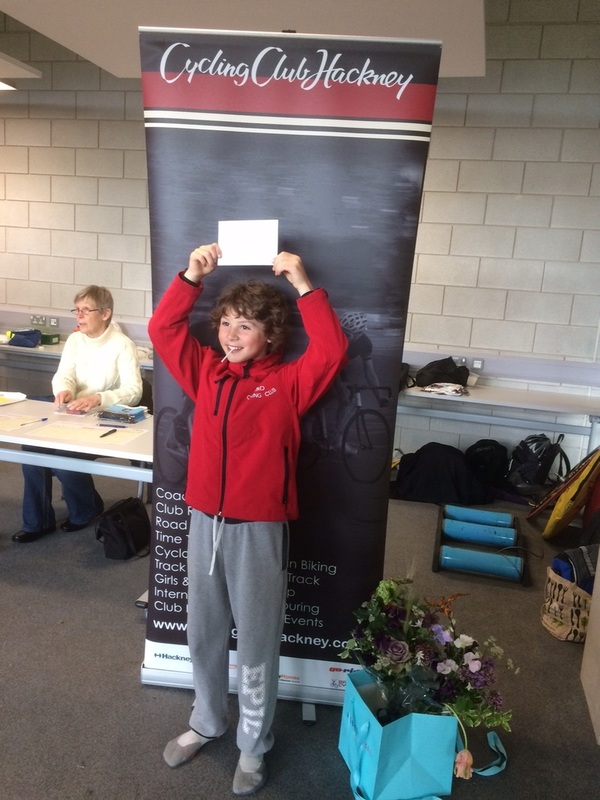 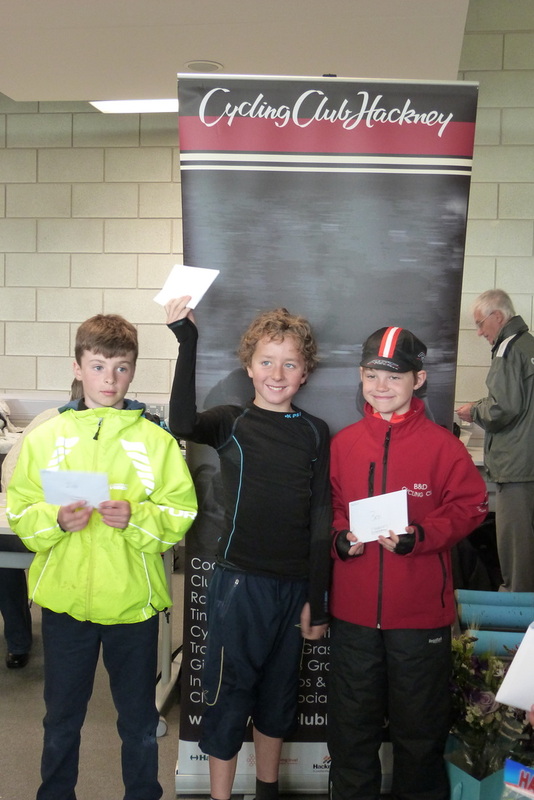 Winners for the the B race were Liam Hanks - Barking, and Harley Pell - CCAshwell. 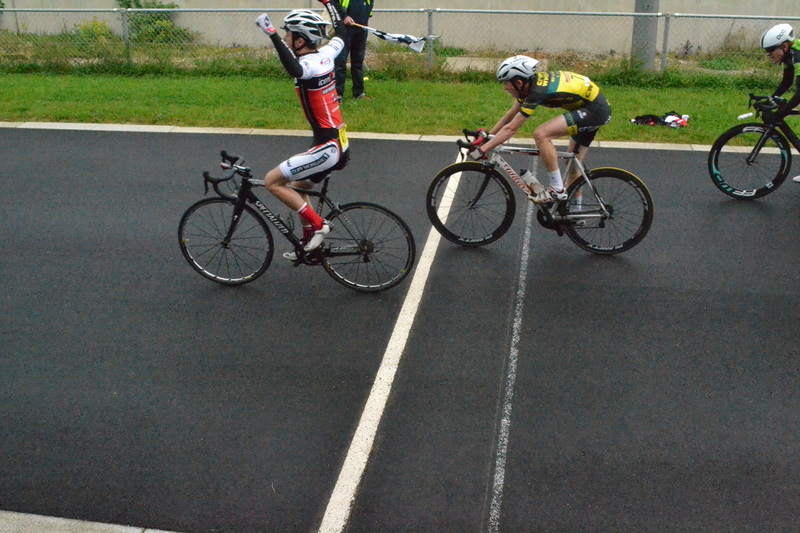 The A boys cranked it up for the last three laps but it still resulted in a close bunch sprint with Dougal Toms once again taking the win. Thanks once again to all those who volunteered to help out - Andy Bardill, John Dash, Charlie Scott, David Slovak, Sean Feeney, George Norcaro, Glenn Hutchinson, Tom Lloyd, Jon Green, Barney Morgan, Susanne Tuefel, Andrea Sella, Peter Maas, Prosper Watts, Richie Benson, Justin Costley, Liz de Monchaux. Thanks also to Rebel Rebel - Hackney for supplying the flowers and Hub Velo the numbers.